When you visit Japan it is not necessary that you wait for the cherry blossom season to observe the beauty of nature captured in flowers. Even if you plan your vacation after the cherry blossom or ‘sakura’ season you will be able to view wonderful fields of colourful flowers. 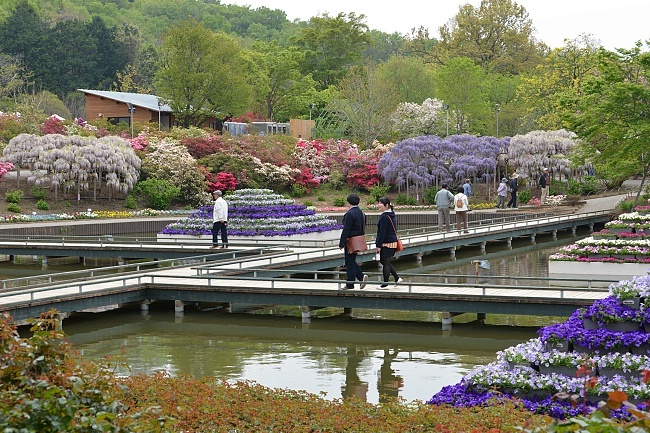 These fields of blossoming flowers, namely, moss pink or phlox moss and shibazakura, and wisteria or fuji, in the northern Kanto region are extremely popular and have parks full of them. This public park overlooks the Ota City and can be reached by a train from Tokyo. 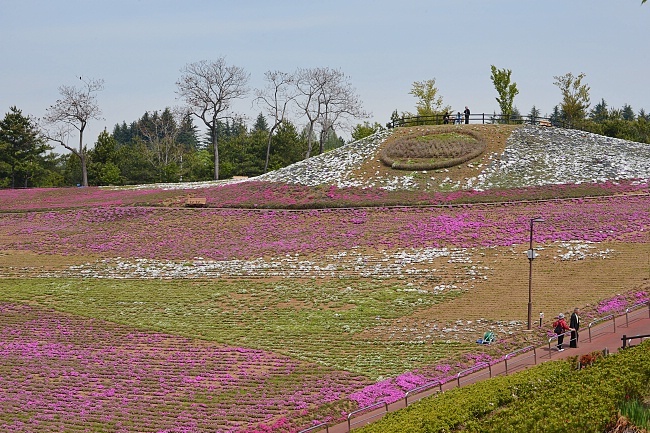 Many sports fields are built on the hillside and the slopes are covered with Moss Pink or Shibazakura. 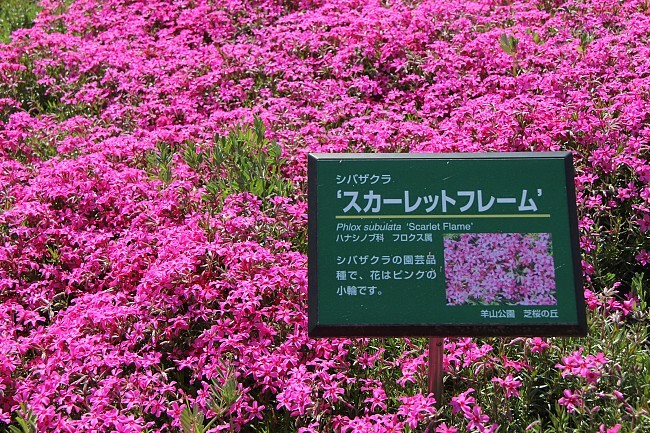 These flowers blossom in spring and look like blankets of pink, white and lavender on the slopes. On the eastern slopes you will spot baby blue eyes and crimson clovers. A yearly Shibazakura Matsuri is held in this park that carries on till the mid of May. This park is in the Tochigi Prefecture. This park is famous for hanging wisterias. These flowers bloom early in May and form clusters of pink and purple. This park is crowded at all times, even on weekends. Chichibu is at the Saitama Prefecture, and is 90 minutes from Tokyo. 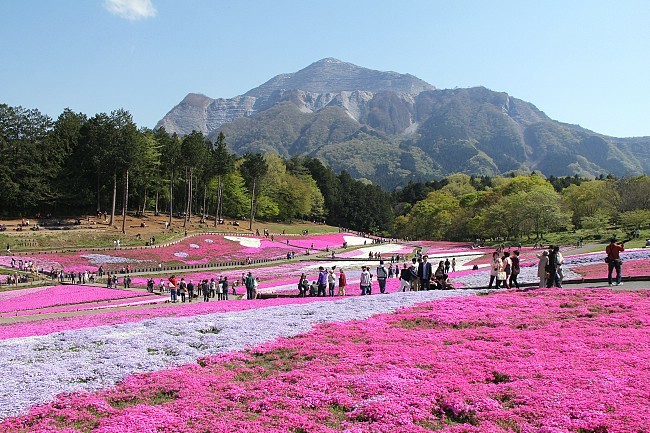 The park is famous for its moss pink fields. 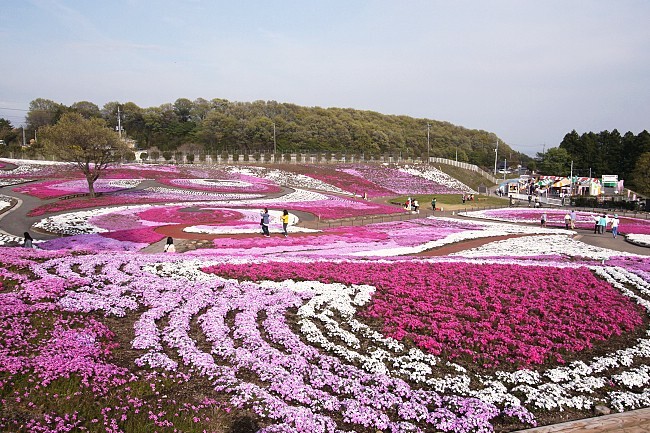 The flowers are planted in way that they form designs of pink, white and lavender. Entry to the park is open from eight in the morning to five in the evening for an entry fee. This garden displays seasonal flowers along with nemophila, shibazakura, and poppies. This park also has an exquisite rose garden. The park is quite far from Tokyo as is takes over an hour to reach the place even by train. 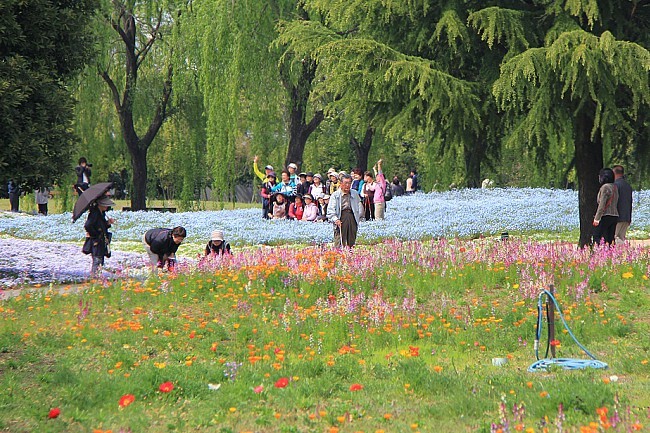 The shibazakura fields that cover the slopes are the main attraction of this park. However, the only downside is that very few public transports go directly to the park. The slopes are beautiful and extremely colourful. So, if you want to visit Japan to view its picturesque side, you must visit these flower parks to experience the wonders of nature.